World-wide, August 1, 2013 — For nearly a decade, Elite Flyers has been on the cutting edge of design and technology in the world of custom printing. Today, they continue that great tradition of industry leadership by unveiling an inspired new product at great prices. That product is Painted Edge Business Cards. With Painted Edge Business Cards, it’s not just what’s on the surface; it’s what’s on the side that counts as well. 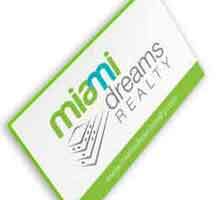 A perfect business card style for those who pay attention to detail and want their clients to know it, Painted Edge Business Cards have a subtle pop of color where you would least expect it – teetering on the very edge of the card. The name of this product says it all. Painted Edge Business Cards take traditional full-color business cards to a new high by bringing the level of customization even further, allowing you to decide not just how your business card looks head-on, but how it looks from all angles as well. Elite Flyers is unleashing this premium printing option to its customers in full force. Choose from a selection of 22 edge colors to fully customize your business card. Among those 22 colors are neon options, like fluorescent pink, for those who want some extra impact, and metallic hues, like silver and gold, to further set your card apart from the rest. This simple printing technique has a surprisingly striking effect. The small detail – a colorful stripe on the very outskirts of your card – creates a visual statement that is both modern and artistic. And best of all, this premium printing option is totally affordable when you choose Elite Flyers. You can have your own Painted Edge Business Cards for as little as 28 cents per printed piece, depending on the quantity you choose. These painted edge business cards have some unique properties. When you stack them on a counter, they add an extra artistic element to the space they inhabit because of their brightly colored edges. You can actually create a centerpiece for your desk with these cards simply by stacking them on top of your workspace. The simple unexpected stripe of color draws in the eye and creates intrigue in your client. It’s amazing what an impact the simplest extra can add when you’re designing your custom business card. Ready to try this technique for yourself? Here are some tips from the pros: to avoid bleed, make sure to choose like colors for the edge of your card and the surface of your card. For example, a light blue card surface with a dark blue card edge works well. A white card with a black edge does not work well, unless you intend on their being bleed on your final printed piece. Elite Flyers is committed to bringing you the best custom printed products in the industry for the lowest prices available. And they’re also committed to elite customer service. You owe it to yourself and your business to choose top quality print products that separate you from the crowd. Try Painted Edge Business Cards to give your business the edge it needs to surpass the competition. 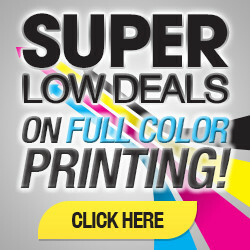 Elite Flyers is a globally-active printing company based in Miami, Florida.